Established in 2007, Vietnam Social Media Corporation (VSMC) is one of the leaders in Vietnam’s social media sector, with a particular focus on young demographics. Its three main products are ACC, Ciao and Dore. ACC is a social network specifically targeted for individuals with a passion for Japanese manga and animation. 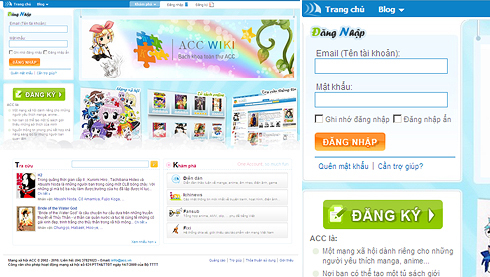 Starting as a small online discussion forum in 2002, ACC has expanded to become a leading Vietnamese website, with 800,000 members. Ciao is a national destination directory and location searching service. The site is a community-created content portal, allowing users to post new locations and comment on their favorite places. And Dore is a mobile comic publishing business developed in-house and available on 3G and WiFi networks. VSMC has also developed Light Blue Portal (LBP), a social network platform which has won numerous national awards.